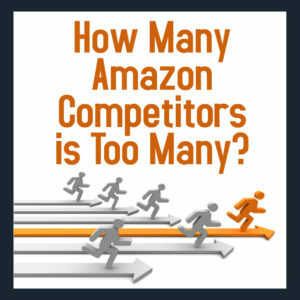 Home How To How Many Amazon Competitors is Too Many? You found a great item to buy at a low price that should bring back a high ROI (return on investment) if you sell it via Amazon FBA. But when you dig a little deeper on the Amazon listing, it seems like there are a lot of competitors who already have offers available. Are there too many competitors, or is it worthwhile to jump in on this listing? 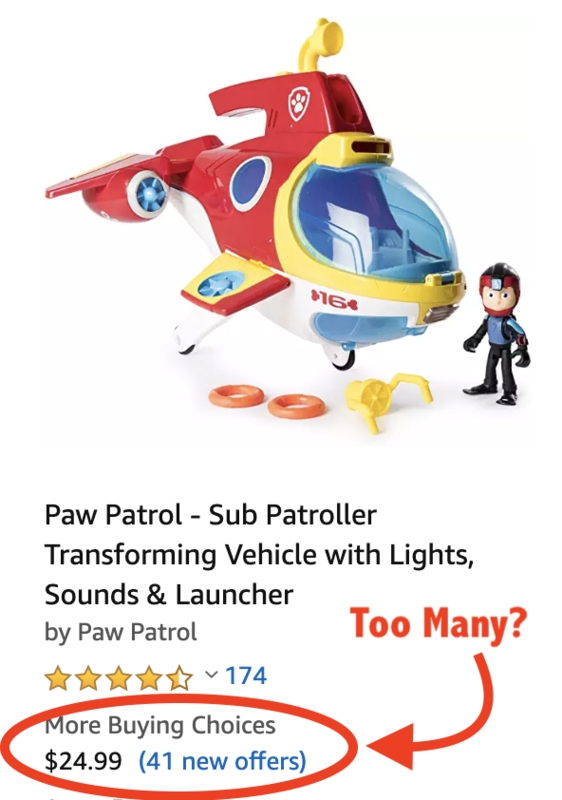 The reason we’re all wondering about this question is that we know if there’s “too many” competitors, then the item might not be a great one for us to source to sell on Amazon. “Too many” competitors means there’s more likelihood for the price of the item to go down before I’m able to sell my units at a price that’s profitable. It’s that whole supply and demand concept at work – when the supply (number of competitors) goes up, the demand (here, the price) goes down. So let’s walk through how to make a decision about how many competitors is too many on any one particular listing. Look at the current sales rank and the sales rank history. It’s important to look at not just the current sales rank of an item today, but also the average sales rank over a period of time. I like to use the data in Keepa charts to look at the average sales rank over the previous 3-6 months and see about how often this item is selling. For a tutorial on reading Keepa charts, check out this post. Now, the Keepa graph does have an option to see the total number of other sellers for an item, but this number can be deceiving, and I’ll tell you why in point #2 below. Look at the number of FBA sellers priced competitively. 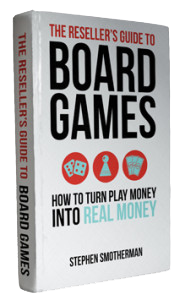 Generally speaking, I’m not competing with Merchant Fulfilled sellers when I’m selling on Amazon. I only consider other FBA sellers as my competition. FBA sellers tend to get the buy box over Merchant Fulfilled sellers (with some exceptions), and Amazon Prime members are going to choose an FBA seller over the Merchant Fulfilled ones because of 2-day free shipping. Beyond just looking at the number of FBA sellers on a listing, I also want to look at the number of those sellers who are priced competitively. How many sellers are priced around the buy box price? How many are likely to be in rotation for the buy box at any given time? If the buy box for an item is priced around $39 and there are 15 sellers who are priced around $49, I don’t consider those 15 sellers to truly be my competition. They’re not really competing for that $39 buy box – they’re holding out for a higher price, and they’re not my competition. Look at the number of items in stock. Once you know how many sellers are competing for the buy box, you need to look at how many items each of those competitors has in stock. If they each have only 1 or 2 items in stock, you’re in a different situation than if one or more of them have 20 or 100 or 200 items in stock. You also need to go back to your sales rank history when you’re looking at this number of items in stock. How fast will 1 or 2 items per competitor sell out? How fast will 100 items per competitor sell out? It’s hard to know exactly whether you’ll be able to compete for the buy box without trying it out, but sometimes you can assume it will be more difficult than other times (e.g., when one competitor has many more items in stock than the others). With the above 3 steps, you should have the info you need to make a smart decision about 1) whether a listing has too many Amazon competitors for you to join the listing and 2) whether you should only buy 1 or 2 units to resell or go a bit deeper. 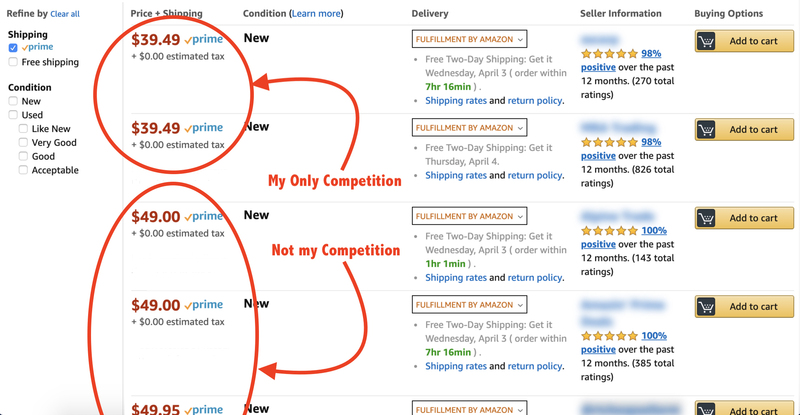 If you’re interested in my thoughts on whether or not to compete against Amazon as a seller, check out this blog post. Note: The actual number of “how many is too many” changes with different categories. In books you might have 200 competitors, while in toys you might have 100 competitors, while in shoes or clothing you might have 10 competitors. Each category requires learning the nuances of how sales rank and number of competitors work. 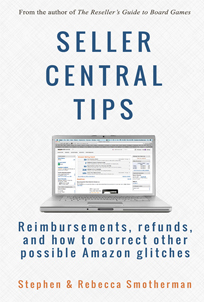 Let me know in the comments if you have any questions or personal experiences with how to decide whether the number of Amazon competitors is too high! Right now is a great time to add the How Many? tool to your Amazon FBA toolbox. Imagine knowing, at the click of a button, how many items each of your Amazon competitors have in stock. With the How Many? tool, you get to scan your competitor’s inventory levels for free 5 times per day. If you’re wanting more than that, there is an affordable paid version of the tool that I highly recommend. The latest update of the How Many? tool includes the ability to know the stock levels, even if the seller has buyer limits turned on or has stock levels above 999. Another great reason to use the How Many? tool is the amazing variation viewer. 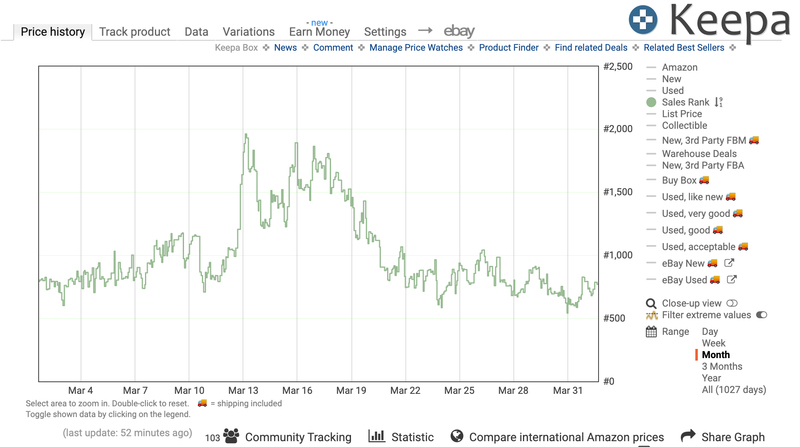 With the click of a button, you can see all the variations of an item on Amazon, including vital information like stock levels per variation, reviews per variation, price differences per variation, and more! Thanks for the info. My question is, what is giving that stock number in the Other Sellers and Buy boxes? I know you can cart an item and it’ll show you the sellers stock, or use Helium 10’s inventory check, but I like that little number right in the buy boxes. Thanks for the informative post! I do have a question about some of the information presented: If your business model doesn’t include many products with variations (I know you do a lot of shoes), is the paid “How Many” app still worth it? You can get most of the same data with Keepa, which I use at this point (Even the free version allows you to see competitor inventory levels). But, I realize that there are limitations with the Keepa data: For example, some vendors are able to hide their inventory levels. Does this happen with “How Many?”Thanks in advance! Is howmany data more accurate than Helium-10? I have never used Helium products, so I can only say that How Many is very accurate. I had used manual process to know the competitor stock. But how many tool is great. I always search products from 3 to 7 competidor, but it depens of product. I notices that the average sale per month presented by How Many differs from what the free Jungle Scout Sales Estimator presents. Typically, Jungle Scout monthly sales show a higher number. Example, and item in Grocery & Gourmet with a BSR of 35,308, How Many shows monthly sales at 14 where Jungle Scout shows 120, Am I comparing apples to apples? There is no tool that can give the actual numbers as they are all estimating. 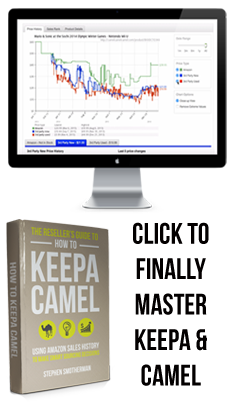 The best strategy to use in to look at Keepa and take the average sales rank from at least 90 days and use that sales rank number to enter into an estimation tool. Hope this helps!